Welcoming their son Caleb into the world, Cara embraces motherhood. As a new mother and nurse in New York City, she struggles, facing class conflict, gender discrimination and career barriers, as well as loneliness. Cara endures because of her strength of character, compassion, and an irrepressible joy of life. The first thing I really noticed about the this book was the characters. His characters are so strong and really drive the narrative. First we have Cara who is strong, brave, and just a very great character. She really is is stubborn when it comes to what she wants and I admire that about her. 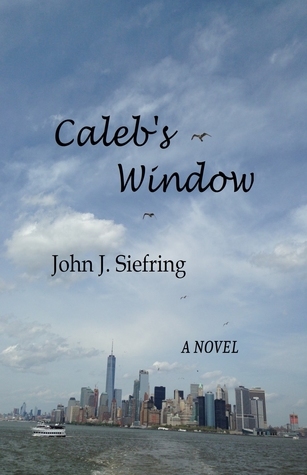 Later on we meet Caleb and he too is a very definitive character. I really wanted to have even more time exploring his story. The authors writing was done very well. Not only was the plot great, but it for flowed very nicely. I really liked how the story was character driven, but not forced for the sake of growth. The plot felt genuine and like the characters would actually do the things that they did. I also really liked that this story was not just about Cara or Caleb, but it was generational and a lot of world events were covered and discussed. I thought that really added to the story since you get to see the affect choices had later on down the road. The one real fault I had with this book was the last section of the book just seemed to go a tad bit to quickly. While, it was not so fast that the story was lost, but it was just so fast. I wanted more time and to explore the story a bit. Overall I have to say that this was a wonderfully written book. The author really has talent when it comes to writing. The story was filled with emotion and I found myself drawn to the characters. This book is a great book if you are looking for a generational story dealing with some major historical events such as WWII. Glad you enjoyed the review so much. I will need to look into Brooklyn as well. Thanks for sharing that title!